Posted by OromianEconomist in Oromo Studies, Oromo Studies Association. A keynote speech of Dr. Merera Gudina, chairman of the Oromo Federalist Congress (OFC), at the 2016 Oromo Studies Association (OSA) annual conference, Howard University, 30 July 2016. I am here today to talk more about ourselves than the regime in power about whom I have been talking for a quarter of a century. I want to share my thoughts with you openly and honestly because I believe we have reached a stage where open, frank and honest discussion are necessary to lead our people towards the ultimate goal of liberation in our long journey to freedom. As we march forward, we should be honest to ourselves and to our people. Exactly twenty two years ago, I presented a paper on how to democratize multi-ethnic polities like Ethiopia at the International Conference on Ethiopian Studies held at Michigan State University. I then argued that “Oromos are the best candidate and centrally placed in terms of history, geography and demography to lead the country’s democratization drive. I even further argued that “Oromos can better claim that they are nearer to the Menilek palace at Arat kilo than those who came from Menez yesterday and Adwa today”. Some Oromo nationalists who found my ideas infuriating painted me as if I am playing the role of Gobana of the 19th century. In fact, they accused me of treason against the interest of our people. Undeterred, I continued to do what expected of me as much as I have understood the trends of Oromo politics, Ethiopian politics, African politics and global politics – all of which I had taught at Addis Ababa University for twenty eight years before I was pushed out because of my involvement in national politics. Over the last quarter century, Oromo activists have grown matured politically. I have also outgrown my views. All of us have transcended our limitations. We find ourselvesin the same boat in the rising tide of Oromo nationalism. Today, Oromo nationalism a rising boat that is able to accommodate all of us. Without going to details many Oromos including Gadaa (Tesfaye) Gebreab have started to write about Merera’s way. It is with this new spirit that I am addressing OSA as a Keynote speaker twenty two years later. Let me say few things regarding the rise of modern Oromo nationalism and the major turning points thereof. As you might aware, the conjuncture of two episodes: the creation of Matcha and Tulama Association at the centre and the Bale uprising have immensely contributed to the birth of modern Oromo nationalism. They served as the first turning point and/or a great awakening for the Oromos. To be sure, the Bale uprising has had a major impact not only on the rise of modern Oromo nationalism but also it had an important influence on the Ethiopian Student Movement that brought down Ethiopia’s ancien regime in 1974. I remember in the heydays of the Ethiopian Student Movement abroad: which way to the revolution: the Bale way or the Bole way had been an important question of tactics. The Bale way symbolized the determined militants’ way while the Bole way symbolized the way of softer revolutionaries. EPRP was the best example of the Bale way as it tried to come through Asimba – the replacement for Bale while MEISON represented the softer Bole way. In short the Bale uprising captured the imagination of the militant generation that brought about the 1974 popular revolution. The second turning point in Oromo nationalism came with the revolution of 1974, which answered the most popular demand of the generation: “land to the tiller” in which Oromos and the rest of the southern peoples benefited most as serfdom and/tenancy was abolished. In fact, without exaggeration the radical land reform of 1975 was what made the Ethiopian revolution a revolution and the single most important victory for the Oromos and the rest of the southern peoples in the last 150 years. In a nutshell, it broke the economic backbone of the Neftegna system –rule by the gun. Oromo intellectuals of the generation fully supported and implemented the historic “land to the tiller” proclamation. The end of tenancy and Oromos reclaiming of their ancestral land was historic in the sense that it marked the end of the Neftegnasystem – a great leap forward in our people’s march for freedom. It was the answer to the land question, which made the Ethiopian revolution of 1974 a revolution that moved millions of people into making a new history. Sadly, this is the historic gainthat the TPLF is bent on reversing under the guise of development. Under the current drive of land grab – the slogan “land to the tiller” is turned into ‘land to the investors’. That is why the Oromo youth are dying under the slogan “stop the land grab, lafti keenya, lafee keenya”. Oromo intellectuals of the revolutionary generation failed to use wisely the opportune moment created by the revolution and the land reform. In other words, the second turning point in the history of modern Oromo nationalism had a negative dimension. To be more precise, the division which is still with us today started with the revolution of 1974. The inexperienced Oromo revolutionaries were seriously divided on the way forward. Some opted for socialism, i.e. transformation of Ethiopia as whole while others were attracted to the more radical version of Oromo nationalism and started to fight for the creation of Oromia republic. MEISON symbolized the socialist project while ECHAT – later OLF symbolized the more radical form of Oromo nationalism. Two contradictory slogans subsequently emerged: ‘red Gobena’ ,referring to the Oromo socialists within MEISON and ‘narrow nationalists’, referring to ECHAT and OLF members. The division consigned Oromo revolutionaries of the day into different camps. ECHAT and OLF members had extravagantly used the ‘red Gobana’ tag against the MEISON members while the MEISON members used the same extravagancy in calling ECHAT and OLF members ‘narrow nationalists’. The cost was too high for all of us. Consequently, the cream of that radical generation was decimated in the crisis that followed while some of us who escaped death passed our best years in prison cells – probably more horrible than the present ones. The third turning point in modern Oromo nationalism came in 1991 when the OLF joined the transitional government controlled by the TPLF and EPRDF. The OLF despite its military weakness was able to mobilize people across Oromia. Millions of people were rallied behind the OLF and it suddenly became a major political force. Moreover, the Oromia region was created and Oromiffa has become a working language in Oromia. In fact, for a brief period of time OLF had become a government within a government in Oromia. And people thought total freedom was around the corner. The TPLF, which was watching the dramatic rise of the OLF very quickly moved to use its OPDO surrogates to crush the OLF. Despite its far less impressive military performance, the OLF has survived the TPLF’s military machine and has become the spirit of Oromo nationalism. I don’t remember how many times the EPRDF regime declared the OLF is dead in the last twenty five years and accuse the next day the OLF is being behind this or that incident and round up many young Oromos as terrorists. In other words, although militarily less effective, the OLF has shown a remarkable capacity to survive. All along the EPRDF has been using its illegitimate child (Diqala) to rule the Oromia region by the use of sheer force and the consequent confrontation between the OLF and the Ethiopian regime has been too costly for the OLF and the Oromo people at large. However, a good thing here is that the rising tide of Oromo nationalism has persisted with its ups and downs and the regime could not fully suppress it. In the meantime as Oromo resistance has continued, the Oromo National Congress was created in 1996. It made a good showing in the 2005 elections. Moreover, it has become yet another alternative in the Oromo people’s quest for freedom and democracy. It also opened yet another front in the struggle by using the legal platform created by the regime for donors’ consumption. It also survived the regime’s political surgery following the 2005 elections and five years later merged with another Oromo legal organization – the Oromo Federalist Democratic Movement (OFDM) and formed the Oromo Federalist Congress (OFC). The merger helped the unity of our people and enhanced our capacity to lead the struggle at home. Needless to add the rise of ONC/OFC brought back the Oromo dilemma: which way to the liberation of the Oromos? Needless to add the resolution of this dilemma is extremely important for the future of our people in its quest for freedom & democracy. We are yet to learn how to work with each other and our neighbors for a common national interest. The fourth turning point in the history of modern Oromo nationalism is the Oromo protest. To be sure, the 2014 Oromo protest in which about 78 people, mostly young people were killed, has been a precursor for the current protest, which is much more strong, wide spread and a mortal threat to the regime. Several factors contributed to the outbreak of the protest. Here, it is important to note that although it is difficult to apportion credits – as most Oromo organizations including the OPDO have contributed at different levels and arguably for different interest.interest. The OMN has done marvelous job in bringing the protest to the world stage. Oromo artists have also been at the forefront of the struggle – people like Haachaaluu Hundeesa, ChalaBultum, MuluBekele, Gelana, JamboJotie, etc. moved millions for the struggle by their appealing songs. As you all know, the causes of the protests are many: chief of which are the historical marginalization of the Oromos as well as the continued marginalization, the dangerously growing corruption, maladministration and the discrimination thereof, the existence of the OPDO as a wound in Oromo nationalism, youth unemployment, etc; while the extensive land grab and the displacement thereof is a triggering factor. In a nutshell, the Oromo people as a whole and the youth in particular have been fed up with regime that successfully failed to promise them a better future. Without minimizing the role of other Oromo organizations let me briefly tell you the contribution of the Oromo Federalist Congress to the on-going struggle. Our most important contribution has been the most effective campaign we were able to conduct during the 2015 elections. And thanks to the support of the Oromo Diaspora, we were able to organize a campaign that moved millions across Oromia. We could field more than ten land cruisers armed with loud speakers more for than two months. We were able to conduct street to street campaigns, organize mass rallies as high as 80 – 100,000 and distributed more than 3 million fliers containing clear messages to the youth, the farmers, the OPDOs as well as the security personnel in Oromia. I recall a police man who wept at our rally in Ambo when I said “you were born to an Oromo family, brought up by Oromo’s milk, when you die it is Oromo’s who will give you a decent burial, don’t kill your brothers and sisters to serve the interest of others”. We also promised lower taxation, lower fertilizer price and selected seeds and above all equal opportunity for employment and making Oromiffa the national language of the country alongside Amharic. Of course the creation of true federalism and democratic governance –i.e. genuine shared-rule and self-rule were at the centre of our campaign messages. In fact, the OPDOs were carrying bags of money to buy the votes of our people while our strategy was to mobilize people to the maximum of our capacity. By doing so we were able to expose the crimes of the TPLF/EPRDF regime to the full. I think, millions of Oromo youth we moved during the elections have taken their lessons seriously and applied their knowledge in the on-going struggle. Moreover, after the elections when the OPDO brought back the Master Plan through the back door– we immediately called a public meeting at our office – under the slogan “stop the land grab and/or laftikenya, lafekenya”. And We called all Oromos to oppose the new land grab after the land reform of 1975. In fact, we compared the new land grab to the imperial days of land grab. I think, this immensely contributed to the resistance that followed. Without exaggeration, the protest not only has become the fourth turning point in modern Oromo nationalism, it helped Oromos to make a great leap forward to the ultimate goal of liberation. Furthermore, it brought respect for Oromos both from their neighbors and the international community. Western diplomats and journalists most of whom might have never heard about Oromos crisscrossed Oromia to gauge the level and depth of Oromo protest. Oromos are suddenly recognized “Ethiopia’s largest ethnic group”. The protest has become the reminiscent of the Gada warriors of the 16th century and Oromos suddenly found new faith in themselves and started to believe that liberation is in their owns hands and within reach. I myself who have seen the revolutionary upheaval of 1974 and the overthrow of the military regime in 1991 was surprised when millions moved into action across the vast land of Oromia in a very short period of time. As I said earlier, for the first time in Oromo history foreign diplomats, parliamentarians and journalists roamed the Oromo streets to understand the cause and the depth of Oromo protests. I remember what one day a young Dutch scholar asked me. She said to me “I am going to Ginchi and should I take a tablet for malaria?”. I told her “Ginchi is in a high land area and no need for it and asked her what you do there?”. With force she said “I want to see with my own eyes, the birth place of Oromo protest”. In summary, the Oromo youth have shown us the path to liberation with their blood by crossing the organizational divides and acting in unity as a result of which both our neighbors and the international community started to respect us as a people. Furthermore, it has opened a new chapter in the Oromo people’s struggle for freedom and democracy, which is a great leap forward – at that a new turning point. I dare say, Ethiopia will never be the same again. The protest has shown us what a united & determined people can achieve in the face of various challenges. Every media outlet from American presses to BBC – to French Radio International and Aljazeera talked to us and covered the protests that were taking place even in the remote Oromia villages. Every western diplomat based in Addis talked to us. I remember American. British, Dutch, Swedish, German, Norway as well as the European Union parliamentarians discussing with us regarding the dimension and direction of the Oromo protest. The Oromos, who have been forgotten by the world powers, suddenly become the centre of their attention. 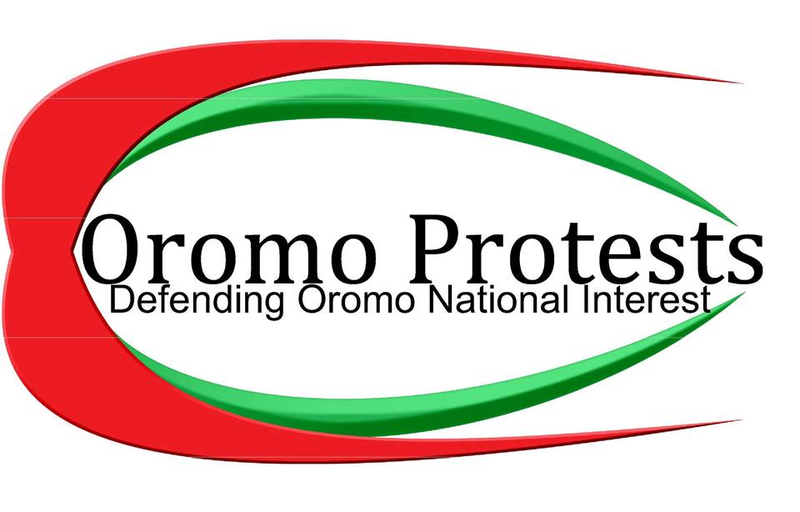 Reasons as to why non-Oromos are not attracted to join the Oromo protest until now may be many, but we can single out two main factors: one is what all of you know – fear of the Oromo separation agenda from many quarters. The other is what many people have not fully grasped – Oromos now have two political forces that have real life among the Oromo people – the OLF and OFC There are no comparable political groups in other regional states. Despite its weakness as an organization, the OLF has always been there to inspire the Oromo youth. Since 2005 the ONC – now the OFC has been using to the extent possible the legal platform. Thanks to the support of the Diaspora including OMN, OFC was able to move millions of Oromo youth across the vast land of Oromia. In a nutshell, there is no political party that could capture the imagination of the youth in other regions of Ethiopia. To make my points clearer, if they had the capacity to do it, more than the solidarity, they could have joined the struggle with their own demands as they have plenty of them from Walkeit to the sale of land to the Sudan – to political repression and youth unemployment. To me understanding such differences is very important to plan for the future struggle. The third important difference is that Oromo nationalism has passed the stage where Oromo quislings or traitors could not easily control. Surprisingly, more than three million OPDO members could not resist the rising tide of Oromo nationalism: some quickly gave in; some joined the popular uprising while some die-hards tried to stop the forward march of history. The Amhara youth have not reached that stage and the hodam Amharas still in control of the situation. To be sure, the Amhara mobilization is much stronger in the Diaspora while in the case of the Oromo – mobilization in the home front – especially that of the youth is much more united and stronger than abroad. The fourth difference is – the Diaspora Oromo activists are more connected to the grass root in the home front and hence have got much more influence over the youth at home. For all practical purposes the youth at home look at people like Jawar as their commander in-chief in their war against the regime. I don’t see comparable influence in the case of Amhara youth. The Arab world’s most known journalist, Mohammad Hykal, who had been very angry at the division of the Arab leaders once said “the Arab leaders met, agreed to disagree”. This is what has become the culture of Oromo political leaders for more than a generation. Let us admit that Oromo political parties are yet to learn how to aggregate their interest to work for a win – win situation by developing the art of compromise in our politics. The same applies to the larger Ethiopia. In addition to learning the art of compromise – to reach our ultimate goal, unity of purpose and action should be our guiding principle. We should be able to differentiate between the role of liberation movements and political parties struggling for power in a normal situation. We need to talk to each other, not over each other; we should stop dialogue of the deaf and listen to each other. Especially, we should know the consequences of our actions. One of the most serious setbacks/we even can call it a disease of Oromo movements and/or political leadership is their failure to handle political differences and easily jumping to character assassinations of all kinds, especially when old friends take different political positions. Far worse, the blind followers easily follow the words of their superiors and jump to attack the new enemy they have created. I think the solution for this is to openly and honestly debate over our differences as well as on the way forward without demonizing each other. I believe internal democracy is necessary to tackle real political differences. Yet another serious problem in Oromo political organizations is lack of political dynamism both in our thinking and actions. And because of fear of each other, it takes years for Oromo political leaders to adopt new policies even when the reality on the ground demand quick action and moving fast. Frankly speaking, because of our weakness, we could not produce a strong leader like the Eritreans or a collective leadership like the TPLF until Meles pushed aside the rest of his comrades to emerge as a sole dictator. We are also not good at establishing better cooperation with our neighbors and minimize our enemies. We really need to create real alliances that help us to move forward. I hope we understand even the mighty America creates both tactical and strategic alliances across the globe to promote its interests. Sadly and surprisingly, the war over the internet has continued among Oromo political forces even at a point in time when the Oromo youth is writing a new history with their blood. No less surprising, I heard some even suggesting that there is no need for political organizations and the dispersed movement alone could do the job. To be sure, as much as I have understood both national and global politics – beyond a shadow of doubt, more than any point in time in the history of Oromo people’s struggle, our people need organization/organizations that can lead them across the finishing line to victory. To suggest otherwise is disarming our people and sabotaging their victory. Probably the suggestion may come out of political naiveties or frustration with existing organizations. Whatever its sources, it is a self-defeating suggestion for which Oromos may pay very dearly. In this regard, all Oromos cannot be policy makers and while we reserve our right to oppose or support any Oromo organization, we should be careful in innocently selling the strategy of the enemy to our people as no people succeeded without leadership in modern history. In our division, the worst and costly division is which came to us through the OPDOs. Originally the OPDOs were forced to join the wrong side of history as prisoners of war. Later most of them joined the wrong side of history willingly for their stomachs. Surprisingly, when OPDOs recruit members, they never, never, never talk about the cause of the Oromo people as they fully know they are not there to promote the cause of their people. In the Diaspora they always say “come and get the land for free” while at home they say “you get land, employment and/ or become an official to live good life”. Here, let me narrate to you my own experience. A friend of mine, the elder brother of Hassan Ali (former president of the Oromia region), who then just joined the government asked me to join the OPDO. He told me that the OPDO was ordered to nominate nine Muslims and nine Christians as a quota to high office. I think they could not do that easily as many Oromo intellectuals were then supporters of the OLF. When he understood, I was not attracted to the lucrative high office, he said to me that “manas, makinashinargetajedheni” (i.e. I thought you can get a house, a car). This is the way millions of Oromos have joined the OPDOs and to use the words of Walter Rodney – the West Indies historian – “removed from history”. I think, we have a real challenge to bring them back to history these lost children of Oromia – by liberating them both from their stomachs and their masters. The good thing is the Oromo protest has shown us is that the more than three million OPDO members – either because of their isolation, confusion or some level of Oromo nationalism retained in them – they could not stop the protest and the government had to send in its Agazi force and the federal police known for their notoriety to suppress the protest by sheer force. Oromo intellectuals have developed a very bad culture of criticizing others by expecting from them miracles than taking practical actions themselves. Far worse, jealously (masanuma) has become a whole mark of our political culture. Oromo youth at home have broken it with their blood and it is high time that Oromo intellectuals and political leaders do the same to move forward. And whatever the source of the problem, this is yet our common disease we should overcome as quickly as possible. Furthermore, the main challenge to Oromo intellectuals at home and abroad is how to participate in the struggle in a more meaningful way. The decisive moment has come when our intellectuals stop tailing the people’s struggle and start to contribute to the struggle in their brains and resources. Frankly speaking, what I hate to hear from our intellectuals is that they always say we are with you, but do nothing or very little in terms of contribution. I know Oromo intellectuals live in fear at home. I do not know how many of you in the Diaspora fully contributing to the struggle both in your brains and resources. What I generally hear is lamentations after lamentations about the weakness of this or that Oromo political organization. Who else is leading a better way, if our intellectuals are not joining the struggle in numbers and lead Oromo organizations more effectively? I strongly urge you, if you wish success of the common struggle to join any organization of your choice and improve the quality of leadership for Oromo organizations. Some of you may tell me you are tired of supporting organizations that could not bring quick success. I remind you that success depends on the contribution of all of us to make our organizations and our struggle strong. For instance, intellectuals can better create think tanks for political organizations and help them perform better. Intellectuals can bring in the experiences of other successful nations. They can easily identify problems through empirical study and suggest viable solutions. They can invest their resources in the struggle while the Oromo youth invest their blood. What I am saying is that if we have the will, there are several ways to contribute. I challenge Oromo intellectuals while the Oromo youth is writing a new history with its blood they should come out to honestly debate on the way forward so as help us to reach a national consensus. And as we fight to make our history, we also should be able to read the reality on the ground – and make hard choices based on facts – not on our wishes. I strongly believe compared to other groups in Ethiopia – Oromos should have very little worry about their future if they know how to play their game. What they should resolve as quickly as possible is their own little dilemma: which way to go forward and overcome the chronic division between Oromo political forces. Now the world has started to know us and understand us, we should do our homework as we claim our future so that we be people worthy of support. We should be able to learn the lessons of the lost opportunities in 1974; 1991 and 2005. Oromo movements should be informed by current developments in global politics and listen to each other. To be frank with you Oromo artists have made more contribution to the protests than oromo intellectuals. One day – I met an Oromo artist from Ambo and asked him whether he is still around with his fiery songs. He boldly and confidently told me that “should we go to the bush even to sing?”. I haven’t seen comparable courage and confidence in my intellectual colleagues. In fact, what I always get when I meet them is an advice – “ofegi – becareful”. Furthermore, the younger artists have really replaced the legendary singers: Ali Birra, Tsegaye Dandena, Kemer Yousef, ect; with their moving songs. I really wish Oromo intellectuals have the same courage. Yet another main challenge to Oromo intellectuals is to go beyond driving expensive cars and buying good houses. I am not opposing doing that, if you are committed intellectuals, you can still have more resources to contribute to the liberation of our people. Honestly speaking I know a lot of Oromo friends in the Diaspora complaining, complaining and complaining about the cost of living in America to contribute for our organization 100 USD, but minutes later when we take more beer start to ask me about investment opportunities in Ethiopia. I don’t know about other Oromo political organizations, the budget of our party is less than 10% of the price of a car a government spy or a TPLF businessman drives. In the 21st century we can only compete with enough resources and technology. We should not expect our organizations to deliver what we want unless we help them to develop the capacity to deliver. If we know how to do it and the commitment to do it, there are several ways to do it. If the statistics I heard in Mennisota is correct, Oromos in the Diaspora from the America’s to Europe, the Middle East to Australia are more than 100,000. And if we have 100,000 Oromos in the Diaspora and they contribute One-Dollar –A Day as some say, I,.e. pay a tip of one dollar for the cause as you give a tip when you eat, we can raise 100,000 USD per day, 3,000,000 USD per month and 36,500,000 USD per year, i.e nearly one billion Ethiopian Birr. Even if this is less than an annual income of one TPLF businessman, this is a huge money for a political party like ours and we don’t even have to go to the bush to do the job. 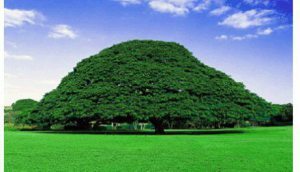 With that much of resource at our disposal we can become a real force and able to turn Oromo cities and towns to our bush. Just imagine what can be done if all of you sponsor the struggle back home in the village you were born, woreda or zone. In this regard, even if I am extremely glad our Diaspora brothers and sisters have made a great leap forward in supporting our struggle at home, the older faces I know are still in their old politics. The best example is Minnesota, where almost all the older faces I know, did not show up even when we opened our first office in the western world. It appears, they have continued to be loyal to their old habits of doing things. As the saying goes – you cannot teach old dogs new tricks. They are yet to learn the success of one Oromo organization is the success for others too. I strongly advise them to engage in soul searching to transform themselves before they are discarded by history. Yet another problem connected to our use of even the meager resources we mobilize is that Oromos are better at giving support for the victims/funerals than supporting political organizations that supposed to lead the struggle. Far worse, very often the money sent home end in the hands of OPDO spies. In this regard, a person I know well told me he gave 160,000 Birr to a spy in Ambo. I don’t know how much resources have been lost and being lost in such a way – which could have been used for the liberation of our people. In other words, we are not mobilizing enough resources for the struggle while which is raised is not properly and effectively used. Be sure that from this side of the planet, you cannot know who is who? Quislings of all sorts can easily get access to resource and divert it. I advise you to double check and recheck resources you send home – as it can be wasted like foreign aid to African dictators. In fact, I don’t know how much money the Diaspora sends that reach the needy. Taken as a whole, the message I want to pass is that we are not properly using even the resources we have mobilized. at the inauguration of the last leadership of the University Students Union of Addis Ababa, the famous USUAA, which was supported by the roaring sound of thousands of university staff and students. In this regard, there is a clear gap we should fill. As to my observation, Oromos never had an organization that matches their numerical strength for the last 500 years – i.e. since the Gada warriors of the 16th century. We need new skills to organize ourselves and back it up with the necessary resources. Our main problem is the failure to understand our potential and use it effectively in a way it makes a real difference. To be sure, the game of the 21st century is that of technology and resources for any organization to succeed. As I raised above, another serious problem I see regarding Oromo organizations is that everybody is a policy maker. We have a right to oppose or support our leaders but, forty million Oromos cannot make their own individual policies for this or that party. We need leaders to lead us. To me, the best way forward is to build an organization/organizations that can lead the people for liberation and able to negotiate with force when necessary. To be sure, the real gap in our people’s struggle is the failure to build such organizations. Here , we should know a divided elite cannot lead a united nation. Don’t also forget that we succeed as a people and fall as a people. Hence, we should fight for our freedom as a people by overcoming our petty organizational and other differences. Let me raise the issue you all know well, American foreign policy troubles us. American diplomats have had the culture of working with the powers that be and winning and dinning with dictators. During the Cold War dictators from Chile’s Pinochet to Africa’s Mobutu – to Mubarak’s Egypt – to Philippines Marcos had wined and dined with successive American presidents. In our own situation, successive American leaders supported Emperor Haile Sellassie until the end came to his rotting regime. As sometimes history is repeating itself, now they are doing the same for the EPRDF regime and may continue to do until the end. In one of my encounters with American officials after Obama’s shameful speech in Addis Ababa where he delighted his host by saying “you were elected by the people of Ethiopia,” I almost quarreled with the officials. I think the officials came to rebuild Obama’s damaged image. I told the officials “you are propping up the Ethiopian regime and consciously look away from its crimes”. He got angry and said “American foreign policy has three legs: humanitarian aid, development and security” and added “are you questioning our security arrangement with the Ethiopian regime”? I responded “whose security?- the security of the Ethiopian dictators or the security of the Ethiopian people?” A good thing is that about a month later, the Oromo protest, which surprised the Americans came. His lieutenant came back and at least visited Ambo. Obviously the EPRDF regime is propped up by Western Governments, especially the big brothers. Even after I came here I visited some offices and their usual question is America’s security arrangement with the Ethiopian regime, which has always been at a standby and ready to serve them when they need it for peace keeping across Africa, especially in the Horn of Africa. It is such a story the American Embassy in Ethiopia is telling us. The real challenge to us is to draw a strategy that can move the West to go beyond their myopic security interest that led them to support the minority regime in Ethiopia. Mass rallies in front of the White House or the State Department are good and one of the options in our hands. I support them. But I always say both God and the Americans help those who help themselves. Therefore, it is far better to build an organization/organizations that can speak to the Western governments and the EPRDF regime at home. Without backing up our diplomacy with force and building giant organizations that can talk and walk their talk, I don’t think we can move far. The real challenge is how to do our homework first before we beg others to help us. In sum, in the last 20 years, I don’t remember how many times I visited the State Department, talked to senators and the congressmen & women. We could win-over only Donald Paine, who shifted his support to the opposition after the 2005 elections. As far as I can Judge from several of my encounters with American diplomats and my professional experience as a student of political science – you can influence American foreign policy-makers, in one of two ways: when you can become a force and they think you can bring down the regime in power or when the regime in power start to work against their interest like Mugabe of Zimbabwe. Therefore, to win the heart of the American leaders, we should become a force – a force that can speak to the Americans and the Ethiopian dictators. I think, we can do that if we can put aside our petty differences and invest in a real way to build organizations with committed leadership that make a difference. Know that the liberation of our people is in our own hands and while we seek the support of the Americans – we should do our homework as I earlier said, both God and the Americans help those who help themselves. Some say the Oromos came to present day Ethiopia in the 16th century while others take back this to the 10th century. Whatever that meant, beyond the shadow of doubt,Oromos constitute the largest nation in Ethiopia and/or the Horn of Africa. That bestows centrality on Oromos in the remaking of Ethiopia along democratic lines. Look for a moment at the history, geography and demography of Ethiopia. If the heart of Ethiopia is out with the Oromos, imagine what would happen to the remaining pieces. In all probability, the country may turn to a house of mad people where everybody throws stones against the other. If the turn to a mad house, because of their resources and their geography, in the end Oromos may be a net-loser. I think, Oromos have to make a historic choice between assuming a central position in the remaking of Ethiopia or taking all the peoples of that country down together to the unknown world. To be sure, a minority regime cannot sponsor a democratic transformation, except in the South African way. Without claiming a copy right that is why I always say, Oromos should assume their rightful place of the remaking of Ethiopia in the interest of all the peoples of Ethiopia by ensuring a democratic transition that is fair to us and to our neighbors. I believe this is the best strategy to move forward in the re-writing of new history for our common home. I have argued all along that the best strategy for the Oromos is to struggle for the taking-over of Menilek’s palace by championing democracy and sharing power based on one person-one vote. I still say Oromos should develop both the wisdom and capacity to end minority rule in Ethiopia. To do just that Oromos should able to create meaningful & strong democratic alliances with their neighbors based on trust and a fair game to both of us. If the country’s largest group is not ready to do that, who else is expected to do that can do that?.Oromos should not send fear to their neighbors, a very fact the minority regime has been always exploiting but security guarantees in a new democratic Ethiopia. These are the lessons we should learn from the Oromo protests, which moved millions of Oromos across the vast Oromia land while our neighbors are watching the drama from the side lines without showing any solidarity. Frankly speaking, many non-Oromo saw the Oromo protest as a threat, not as a liberator. This is a dilemma of our neighbors and yet another challenge of ours as we look into the future of our people’s struggle. We should understand history, but should not be a prisoner of it. We should not forget our history, but not be its prisoners. We should operate dynamically in the fast changing dynamic world without losing ourselves in the game. We should embrace and work with those who want to work with us for a common goal while standing firm against those who aspire to give us the certificate to be Ethiopians. We should not allow the Oromo protest to be repressed by isolating it while the EPRDF regime is working day in and day out to mobilize our neighbors against us. All of us should be ready to contribute our share by joining the call of history. There is an urgent need to resolve our own dilemma. I have been always arguing in terms of history, geography and demography Oromos are the best candidate to lead the democratization of Ethiopia. We should be aware of the fact that clashes of dreams and visions unless managed well can hurt all of us. In other words, Oromos should contribute to overcome the country’s political dead-end by making their contribution to overcome the clashes of dreams that has led to the political impasse for decades. Attracting our neighbors to a democratic game, i.e. a common middle road is a sine quanon for moving forwardthe country’s politics so as to save us from paying unnecessary cost. At this historical juncture – we should be able to reassess our failures and successes to revitalize our movement by better strategizing our way of doing things. And as we fight for the freedom of our people, we should be able to use Oromos full potential with hope and confidence to engage our neighbors. OSA is celebrating thirty years of its existence. I hope those who know it from birth to maturity can tell better the contours of its development, its ups and downs, i.e. give a better balance sheet. From a perspective of a distance onlooker, let me say the following: OSA has fought a thirty-year war in promoting Oromo nationalism with commitment and endurance in the world of academia. All of us should salute OSA for a good job done. We should encourage it, to take its work more aggressively with commitment and determination. Having said this, I want to raise some points regarding OSA based on my attendance of OSA meetings few times. First is time budgeting. Some programs are given much more time than others. I think, OSA time allocators should be serious in adhering to the original time. Time adjustments should be made if necessary with fairness. Secondly, some critical presentations are pushed to the end after many people are left or tired. I think, OSA would lose its central mission when real political issues that are critical to the survival of our nation arenot well covered or well attended. I understand OSA organizers do that to hold down people from leaving. I myself was not happy, for instance to make a speech in Chicago after the veterans of the Bale movement left or travailing several thousand kilometers to talk for few minutes at that after half of the meeting hall became empty. Thirdly circulation of OSA publications is limited, especially for the young readers at home. Even the universities in Oromia are not getting them. If not legally allowed, it can be done through some scholars. Lastly and more importantly, OSA should be able to find sponsors from Oromo communities and other organizations to enable the participation of more scholars from home as it is very important to create a better human link between the home-based intellectual community and those of you who are here. Taking this opportunity I call upon all Oromo and Ethiopian political forces to unite and push the same democratic agenda. I want to call upon the TPLF/EPRDF leaders to stop its repression and negotiate a fair democratic game with the genuine representatives of the various peoples of the country. I also want to call upon the American government to stop supporting dictators who are terrorizing millions of their citizens in the name of fighting international terrorism. Finally, let me conclude my presentation by repeating the immortal words of Kwame Nkrumah: Divided we fall, united we stand. 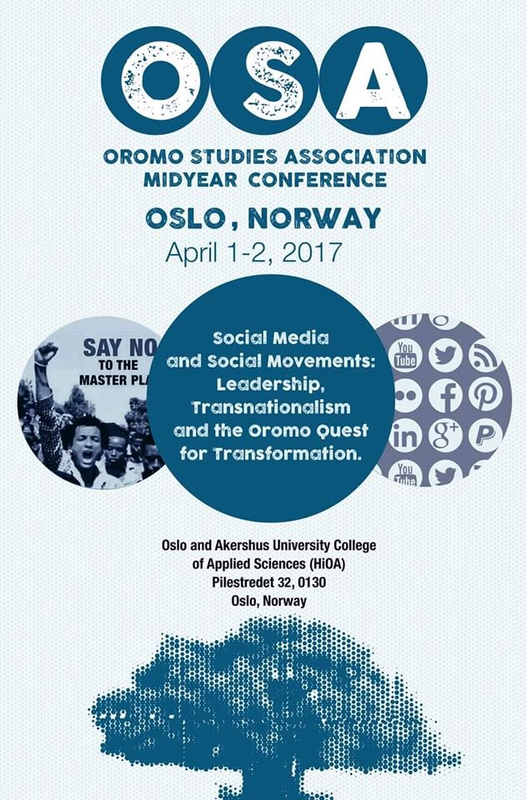 This conference offers a unique opportunity to reflect on and celebrate the 30th anniversary of the Oromo Studies Association (OSA). For three decades, OSA has successfully engaged in knowledge production and dissemination about the Oromo people. It has been instrumental in deconstructing exclusionary Ethiopianist narratives that justified the suppression of the Oromo and other southern nations, many of which were overtly antagonistic to people’s identity, politics, language and history. At this stage in its history, OSA is pleased that it continues to provide a discursive platform for generating new discussions concerning a broad range of issues that affect the Oromo, non-Oromo Ethiopians and other peoples in the Horn of Africa. As OSA celebrates its 30th anniversary, we recognize we are at a conjuncture in the Oromo nation’s history. OSA is marking its achievements as the Oromo nation is undergoing epochal transformation in the wake of the Oromo protests of 2014-16. 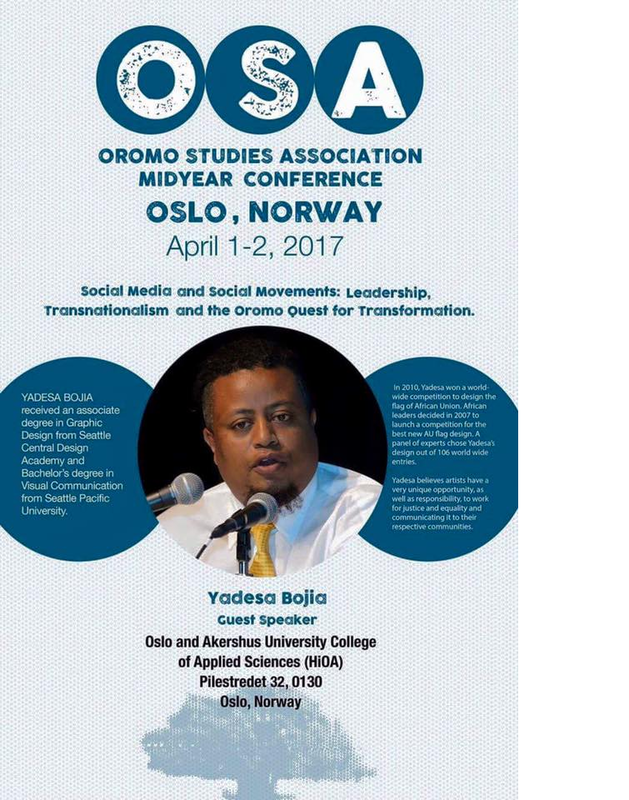 In light of three decades of scholarship and advocacy and in the wake of the transformative events of the Oromo protests, it is an apt time for OSA to take stock. This year’s conference will highlight the trajectories of change as the Oromo and other marginalized peoples in Ethiopia continue their inexorable movement from the political periphery to the center. OSA’s annual conference has proven to be a productive platform for lively exchange among scholars on what is required to imagine and design innovative/alternative frameworks for understanding and shaping events and processes that bring about sustainable change for the Horn of Africa region. Oromo scholarship since OSA’s founding has effectively refuted the distortions and misrepresentations of the past. Anthropologists, sociologists, historians and other scientists have presented descriptions and analyses of demographic dynamism, theories of economic growth, democratic political culture, cultural and religious expressions, and indigenous views on cosmology, time-reckoning systems and moral traditions. Oromo literature is flourishing, creative arts are thriving and various other genres of Oromo aesthetic heritage are prospering. To date, there has been a dialectical relationship between Oromo scholarship and rising Oromo collective consciousness. In the next decades, we trust that these symbioses will continue with greater determination, purpose and confidence. On behalf of the Oromo Studies Association, the Board of Directors, Executive Committee and the membership of our scholarly organization, we are sending this urgent request that the U.S. Department of State, under your able leadership, use its significant influence with the government of Ethiopia to save the lives of Bekele Gerba, Deputy Chairman of Oromo Federalist Congress (OFC), other senior members of that organization and their fellow prisoners at Qilinto prison near Addis Ababa. These are entering the tenth day of a hunger strike joined to bring to light the deplorable conditions at the prison and the excruciating injustice inflicted upon the prisoners. Several of them including Bekele Gerba collapsed into unconsciousness on July 26, 2016. Today it is reported that those political prisoners, who were already in a very fragile condition are dangerously weak and deteriorating. We ask that you use the good offices of the US State Department to gain access to Bekele and the others directly or through the Red Cross, to investigate the prisoners’ condition, interview them and to witness the conditions that have driven them to take this compelling coordinated action. Bekele Gerba himself is highly respected and greatly loved among the Oromo and Ethiopian peoples as a humble man of courage and devotion to the plight of the oppressed. He is deeply committed to nonviolence and has translated the speeches of Martin Luther King, Jr. into the Oromo language. 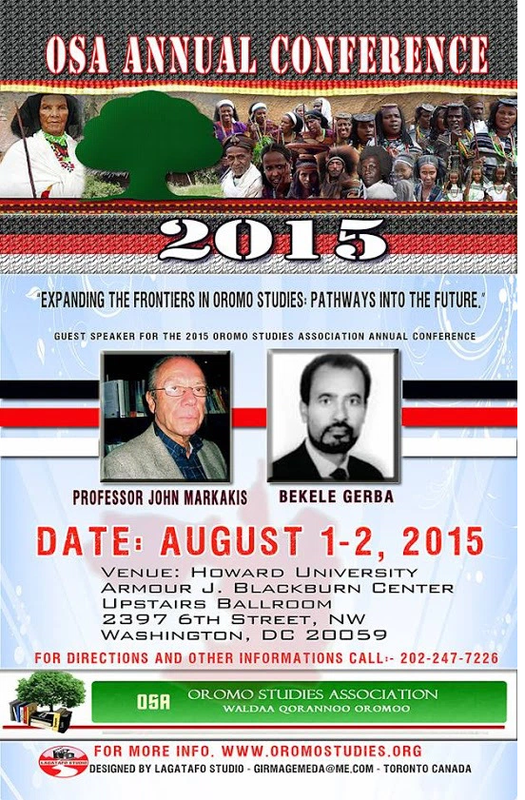 As keynote speaker at the last OSA conference, held at Howard University, August 1-2, 2015, Bekele Gerba left a lasting impression on our members with an inspiring and memorable message. A focus of the conference were the ongoing forms of resistance emerging in direct response to the ruling party’s policy of removing millions of Oromo farmers from their ancestral lands without their participation, agreement or compensation. Bekele Gerba urged the Oromo people to follow a course of nonviolence in response to the injustices they experience at the hands of the Ethiopian authorities. This address was the highlight of that event. His presence and his message concerning the paths to peaceful democratic change in Ethiopia had an impact beyond our expectation and provided a historic and lasting contribution to our scholarly organization. We remain committed to find ways to sustain the development of knowledge that makes it possible to create understanding and ensure the wellbeing of the Oromo and other peoples in Ethiopia and the Horn of Africa. Bekele Gerba upheld his commitment to nonviolent peaceful protest and worked with members to open doors of cooperation between groups fully devoted to developing forms of mutual support in the region. Upon the completion of the conference Bekele Gerba traveled to several US cities at the invitation of members of the Oromo and other Ethiopian diaspora and American communities. He inspired his audiences with a consistent message of nonviolent struggle for promoting respect for human rights and democratic governance in Ethiopia. He gave interviews in a wide range of media – in English, Amharic and Oromo languages. His interviews (including to Michele Keleman of National Public Radio and Periscope program of Al Jazeera American TV) stressed the importance of consolidating democratic governance in Ethiopia. It became clear that Bekele is loved and respected by millions of Oromo and other Ethiopians around the world as a man of vision, integrity and courage. Many of us who admire Bekele Gerba’s leadership in advocating nonviolence in Ethiopia are deeply concerned about his well-being and the fate of others who are imprisoned there. OSA members are apprehensive about whether Bekele Gerba and his colleagues will receive adequate care either in prison or in a hospital, and horrified at the thought that harm might befall him and his colleagues. Under the circumstance, we request you to take the following practical measures to spare the lives of political prisoners who have been on this hunger strike for ten days now. · We request that the United States urge the leaders of the Ethiopia government to provide immediate relief for the conditions that drive them to this point and offer life-saving medical care for Bekele Gerba, his colleagues and the other prisoners at Qilinto. · We ask that the U.S. Department of State under your leadership apply its enormous political, economic and diplomatic influence on Ethiopia to effect the release Bekele Gerba and his colleagues. · We request that the State Department urge Ethiopian government leaders to respects their own constitution, release all political prisons currently in detention and bring an immediate halt to extrajudicial killings and arbitrary arrests of innocent people who face prolonged detention without trial. Finally, we appeal to the US State Department to employ its considerable influence and diplomatic prowess to encourage a political environment conducive to respect for of the rule of law and inclusive government in Ethiopia. We earnestly believe that as America’s top diplomat and principal voice on international issues, you have an extraordinary opportunity to encourage policies that alleviate the incredible suffering of the Oromo and other people in Ethiopia in the long term. In the current moment, the most effective action to that end is to highlight the plight of Bekele Gerba, man of peace whose life and legacy is precious to us, and the plight of his fellow prisoners, and to intervene on their behalf with those who hold Bekele in custody. We appreciate your interest in their well-being. The following is a statement from the Oromo Studies Association (OSA). The Oromo Studies Association (OSA) decries and denounces extreme measures taken by Ethiopian security forces, ongoing from late November 2015, killing and maiming peaceful student protesters. Oromo students at every level of the educational system in Ethiopia, from elementary school to university, began peaceful demonstrations in late November 2015, to protest the implementation of a federally designed Addis Ababa Integrated Development Master Plan (AAIMP), which usurps the authority of the Oromia regional government. The students have been met by heavily armed and equipped special Ethiopian police force units who fire into the crowds with deadly impact. There are ten (10) confirmed deaths at this writing, with the confrontation escalating. The “Master Plan” refers to the federal government’s controversial design for expanding the territorial boundaries of the capital city, Addis Ababa, increasing the city to twenty times its present size by taking over prime agricultural land from Oromo farmers. This plan, developed in secrecy, was first exposed in April 2014, a disclosure that prompted widespread protests at that time. In April and May 2014 the Oromo students’ peaceful protest against the imposition of the Master Plan in all of Oromia region was met with deadly force and live ammunition, which resulted in the confirmed deaths of more than 70 students, maiming of hundreds and imprisonment of thousands of university students. Since late November, the demonstrators have started to resist specific steps taken to implement this Plan. It calls for the Federal jurisdiction of the Capital City to seize fertile, well-watered and centrally located parts of the Oromia Regional State. The blueprints for this undertaking were developed without the participation of the Oromia regional government. Since the revelation, there has been no opportunity for public discussion of the plan. Now as Federal forces have begun to move these arable lands out of the domain of indigenous Oromo and into the control of the central government, Oromo students have responded with renewed protests. The scale of the Master Plan is such that it engulfs enough ancestral farmland to affect the lives and livelihoods of nearly six million Oromo people and dismembers the Oromia Regional State by dividing it into two separate zones. There is universal opposition among Oromo both in Oromia and in the diaspora to this Federal action, taken without due process. OSA members belong to Oromo public and political organizations representing a wide spectrum of ideological and institutional positions. They share a clear focus and mission to produce verifiable data that reveal the real conditions of life of the Oromo people. They also find it within their mission to inform the public of the value and relevance of those findings. In this regard, OSA members have studied and produced research data on multiple dimensions of this very complex and problematic crisis of land use and proprietary rights in the east, west, north, south, as well as centre of Oromia. Findings reveal a longstanding but largely ignored pattern of land confiscation from the Oromo – of which this Master Plan is the latest expression. OSA believes that the Master Plan is unconstitutional. It violates the principle of federalism, illegally alters the boundaries and jurisdiction of the Oromia regional government, violates citizens’ human right to property and security, and ignores the constitutional principle of transparency for good governance. OSA believes that the Master Plan is harmful to human development. Contrary to the principles of participatory policy-making for sustainable development, the Master Plan was developed by the federal government to apportion land, in the name of investment, to the economic elite who are already at the top of the social hierarchy. The plan disregards the livelihood of Oromo farmers who will be displaced to face extreme poverty and an increasing unemployment rate. OSA views the plan as having uneven and detrimental impacts by contributing to policy-driven poverty among the Oromo and exacerbating intra-nation/ethnic economic inequality. OSA believes that the Master Plan is injurious to the environment. Developed in secrecy, the Master Plan violates established principles and practices pertaining to environmental protection clauses. Under the Master Plan, the expanded city will continue dumping toxic substances and industrial wastes on the surrounding cities, towns and lands of Oromo people. Oromo communities in the outlying zones and the ecosystem will remain on the receiving end of the environmental harm. OSA members fully support the rights of the students who initiated the protests and the rights of those who have now joined them in massive numbers. OSA officers and members will assist their effort to the fullest extent in its capacity as an academic, non-partisan association of Oromo and non-Oromo scholars. We are deeply concerned that the government is using excessive, often deadly, force against unarmed students, including even elementary school students. These incidents are followed by attacks against parents and townsfolk who come out to protect their children against the very security personnel who are constitutionally mandated to provide protection and maintain law and order. It should be a matter of grave concern when an internationally recognized government uses excessive force against its own citizens. It is extremely grievous that the Ethiopian government has called up its well-armed special forces to move against unarmed students. This violates every international human rights principle and rights enshrined in the Ethiopian constitution that officially guarantees extensive, regional and individual rights. Let us be clear. The issue is not an abstract debate about whether a government has the duty to develop and implement policies to improve the conditions of lives for its citizens or to conduct urban planning necessary to accommodate natural migration of people from rural areas to urban centers. The issue is the unjust process in this instance developed and designed to implement a massive land transfer from Oromia Regional state control to Federal jurisdiction. Even more troublesome is the government’s utter disregard of the people’s inalienable right in a purported democracy to protest policies and to exercise rights guaranteed by the Ethiopian constitution. o Achieve 30% and 50% level of urbanization in 2023 and 2038 respectively. Given the limited urbanization among the Oromo because of the state-wide discriminatory language and economic policy against the Oromo, the plan will effectively erase Oromo identity, culture and language from the aggrandized Greater Addis Ababa. Even Oromo physical and economic presence would be totally cleared out of this crucially situated zone. Generally, the plan has the direct effect of forcible transfer, displacement, dislocation and dispossession of the Oromo population from the area in which they are historically indigenous. The Master Plan reveals that the incumbent policies continue longstanding patterns of historical injustice by denying the Oromo freedom of association, press and expression; by ostracizing residents and the Oromia Regional officials from political decision-making; by stifling and intimidating dissent through invoking arbitrary laws which depict even peaceful protest as terrorism; and by taking repressive measures such as capture, torture, extra-judicial murder, and massive arbitrary detention – all of which were used against Oromo protesters in 2014 and are being actively imposed again as the world witnesses on social media the massacre in broad daylight of the Oromia region’s young and brightest lives. o Bring to justice members of the security force and government officials responsible for the killing and injury of peaceful protesters. o Halt the implementation of the Integrated Development Master Plan for Addis Ababa and submit it to a constitutionally mandated review, giving the citizens a voice in their own governance. o OSA offers our considerable research, data – historical, economic, ecological, cultural and social –to all agencies and government who seek to know the full scope of the impact of their engagement with the Ethiopian government. o OSA acknowledges that all foreign parties in Ethiopia will better pursue their own best interests when operating with full knowledge of the circumstances in the country. We suggest to all parties that reliable information as well as consultation and analysis pertaining to the majority Oromo population of 40 million people is available through Oromo Studies Association. o Examine the evidence that demonstrates that Oromos are a force for peace and stability in Ethiopia and the Horn of Africa. Peace and justice (nagaa fi haaqa Oromoo) are the principles that undergird governance among Oromos. o OSA is aware and supportive of your efforts and rights to peaceful protest. We understand that you are risking your lives and well-being simply for exercising your democratic right to peacefully protest a policy that directly impacts you, your family, community and nation. o OSA applauds your commitment to clearly observable forms of peaceful protest. o OSA affirms its commitment to continue to provide the institutional support and intellectual materials to those who will support you in any venue and to document the ongoing crisis. o We offer all possible intellectual and scholarly assistance to those who will create avenues to support Oromo protests against the implementation of the Master Plan, realizing that Oromo cultural identity and livelihood is threatened by this design for unvetted, unexamined land confiscation. o Comparative research by OSA scholars demonstrates that the Ethiopian government’s unconstitutional actions in dealing with one aggrieved the Oromo, indicate an absence of democratic process which inevitably affects all groups. o OSA reaffirms our commitment to providing research and documentation useful to those who wish to create or strengthen avenues for democracy, citizens’ empowerment and peace within and among peoples who are in Ethiopia and the Horn of Africa. o OSA calls upon you to investigate thoroughly the conditions that the Oromo student protesters are suffering and in many cases, dying, to bring to the world attention. OSA members are committed to work with you to examine the conditions that have given rise to this renewed voice. We call on you to alert your respective governments about the widespread violations of fundamental rights in the Oromo region of Ethiopia. o OSA commends the excellent courageous work of Amnesty International, Human Rights Watch, and International Crisis Group in investigating crises affecting the Oromo over the years. We urge you to continue to document the tragic events underway to bear witness to the sacrifice of the intelligentsia among Oromo youth to draw attention to this issue which is critical to their people’s existence. OSA will provide you with any possible assistance. o There has been a virtual blackout of information and awareness of the Oromo plight in Ethiopia in general and of this immediate crisis in particular. o OSA calls upon all forms of print, broadcast and online media to document and publicize the events underway in the implementation of the Master Plan, the widespread Oromo student protests and the harsh response to them. OSA pledges to supply information as needed. o OSA urges Voice of America to employ at least one, if not several, Oromo correspondents on the ground in Oromia region. o OSA commends BBC for establishing an Oromo language service and anticipates in depth coverage of these issues in near future. Re-iterating that Oromo livelihood, language, cultural identity and economic survival is threatened by this design to confiscate land in Oromia, OSA affirms its commitment to support the legitimate rights of all citizens to peacefully protest the Addis Ababa Integrated Master Plan. We are committed to offer all possible intellectual and scholarly assistance to strengthen the efforts of those who create avenues to resist its unexamined and unconstitutional implementation. Posted by OromianEconomist in Africa, Oromia, Oromo, OSA. Walga’iin Idilee Waldaa Qrannoo Oromoo Washingoton DC tti jalqabame. (OMN:Oduu Hag.01, 2015 ) Waldaan qorannoo Oromoo walga’iisaa idlee kan waggaa Waashington DC, yunivarsitii Haward galma Black Burn keessatti guyyaa har’aa jalqabee jira. Walgahii kanarratti keessummoonni kabajaa biyyoota adda addaarraa affeeraman waraqaa qorannoosaanii kan irratti dhiheessan ta’uun beekameera. Pirezdantiin waldaa Qorannoo Oromoo Obbo Jawaar Mohaammadii fi Daayrektarri Boordii waldichaa Dr Mohaammad Hasani walduraa duubaan haasaa anaa dhufuu taasisuun walga’icha battalumatti jalqabsisaniiru. Walga’iin kun guyyoota lamaaf kan taa’amu oggaa ta’u dhimmoota qorannoo Oromoo irratti warqaalee qorannoo gara garaa hayyoota Oromoo fi kanneen biroon dhiyaatan dhaggeeffachuun marii kan gaggeessan ta’uun beekameera. Namoota waraqaa qorannoo jalqaba irratti dhiyeessan keessaa Addee Toltuu Tufaa ishii tokko oggaa taatu daa’imman Oromoo afaan lammiisaanii barsisuuf duula karaa afaan publicaton jedhamu gochaa turte bal’inaan dhiyeessiteetti. Itti aansuudhaan Dr.Steeven Toomaas waraqaa qorannoo haala rakkina guddina Filmii Afaan oromoo irratti kan dhiyeessan oggaa ta’u,wahilasaanii kan ta’e gazexessaa Dhaabaa Wayyeessaa rakkina kana furuuf hojiwwan biyya keessatti rakkina filmii Afaan Oromoo furuuf tattaafataa turan bal’inaan ibsaniiru. Posted by OromianEconomist in Oromo Protests, Oromo Studies Association, World Social Forum. 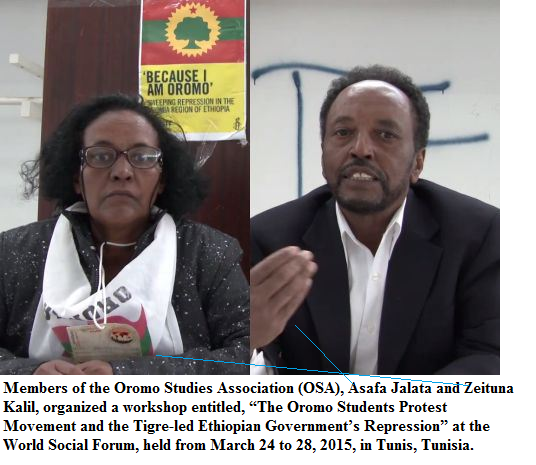 Two members of the Oromo Studies Association (OSA), Asafa Jalata and Zeituna Kalil, organized a workshop entitled, “The Oromo Students Protest Movement and the Tigre-led Ethiopian Government’s Repression” at the World Social Forum, held from March 24 to 28, 2015, in Tunis, Tunisia. This workshop was organized under the themes of equality, dignity and rights. The central themes of this global forum included the crossroads of citizenship; beyond borders crossroads; the planet neighborhood; the square of social justice; the neighborhood of equality, dignity and rights; and the square of economy and alternative to neo-liberal globalization. At the same time, different social, political, cultural and economic movements organized events and activities in open spaces and in tents demonstrating their agendas through slogans, flags, dancing, singing, and the distribution and exchanging of information. The slogan of the forum was “Another World is Possible.” This slogan reflects the political aspiration of the Oromo people in general and the Oromo students in particular who are struggling and sacrificing their precious lives to create a free and democratic Oromia, which will be liberated from of all forms of oppression, exploitation, murder, terrorism and gross human rights violations. This does not mean that the Oromo only care for themselves; but their struggle is an integral part of the struggles of all colonized peoples, particularly those groups that have been brutalized and have suffered under the yoke of Ethiopian colonialism. So while struggling to liberate their country, the Oromo also aspire to build a multinational democracy with peoples who are also struggling for liberation, sovereignty, democracy and social justice. Despite the fact that we were very delighted to be part of this progressive global forum, and the aspiration of our people goes with the aspirations of these progressive global social forces, we were also disappointed and frustrated because as a people our actions are lagging behind that of others. We are allowing our precious time consumed by internal fighting rather than taking our national struggle to the global stage. Today, millions of Oromos are in the diaspora, but at the same time they are disconnected from the world. The main responsibility of the Oromo Diaspora should be to form global networks and establish global solidarity for the Oromo national movement in Oromia and beyond. Because of the lack of a global Oromo organization, solidarity, and networks, the Oromo in the Diaspora are not effectively exposing the barbarism or fascism of the Tigre government. The Tigre government has been imprisoning, torturing, and killing Oromo nationalists, particularly our young people, while transferring Oromo lands and other resources to Tigre elites and their regional and global supporters. Also, the Oromo Diaspora is not effectively supporting the Oromo national struggle morally, financially, ideologically and diplomatically in Oromia and beyond. The absence of the Oromo voice from this global forum for so many years demonstrates that we are not fulfilling our national obligations. We cannot continue to blame our enemies forever for our disconnection from the world. In fact, the sad thing is the Tigre government and its puppet organization, the so-called Oromo Democratic Organization, are trying to organize the Oromo Diaspora to fight against the Oromo national movement. The nation that fights against itself cannot liberate itself. Our workshop attracted individuals from Ghana, Switzerland, Italy, Burundi, Afar (Djibouti), France and other countries; these participants criticized Oromo activists for not building regional and global alliances with progressive forces. Peter Niggli, one of the participants from Switzerland and a long time friend of the Oromo, stated that he was aware that the Tigre government is engaging in land grabbing by evicting the Oromo and other peoples. But he then noted that if the Oromo only focus on their own struggle, they will miss opportunities to engage with and connect with fellow African societies facing similar crises. He suggested that if the Oromo movement establishes solidarity with anti-land grabbing movements, it can more easily expose the criminal activities of the Tigre regime. A participant from Ghana who was once in Finfinnee and had never heard about the Oromo before he met us in Tunis advised us that we must vigorously teach other peoples about the Oromo and create solidarity groups for the Oromo struggle. He mentioned that Palestinians and Western Sahara have created solidarity groups in Ghana. He promised us that he would participate in an effort to create an Oromo solidarity group in Ghana. A gentleman from Afar emphasized the responsibility of the Oromo people in the Horn of Africa because of their numerical strength, economic resources and their geographical location. He also mentioned that the Oromo should not use distorted ideologies of “socialism” and “democracy” as the Tigre elite has done to brutalize, dominate and exploit other peoples. He asserted that the Oromo should not only focus on themselves and should build alliances with various peoples in the Horn of Africa on genuine principles of self-determination and multinational democracy. The World Social Forum was first held in 2001 in Brazil as an annual meeting of global civil societies interested in developing an alternative future to neoliberal globalization. They brought together nongovernmental organizations and social movements around the world to create international solidarity and to struggle for global social justice. Today, this forum still strives to create global solidarity amongst progressive social forces pushing for a democratic and fair world. We recommend that the Oromo national movement in general, and OSA in particular begin to actively participate in this global forum and in other global opportunities. OSA should send large numbers of delegates to introduce the Oromo people to the world community, thereby creating global solidarity for the Oromo struggle for national self-determination, sovereignty and democracy.